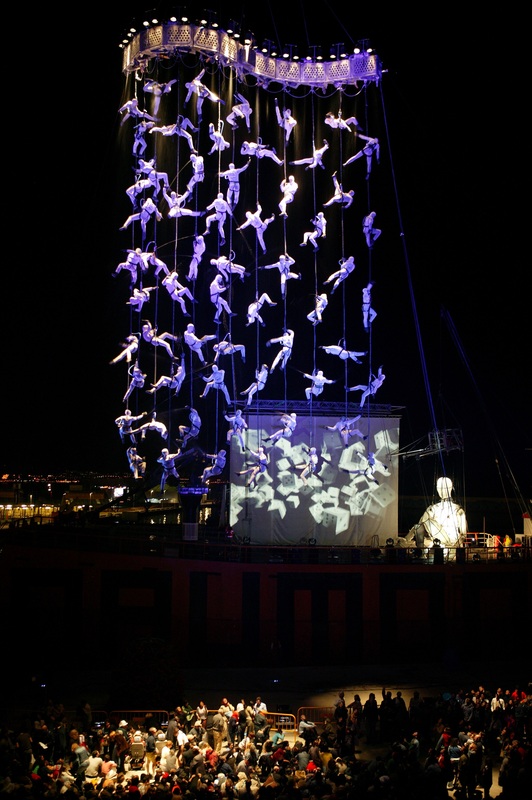 Would you like to be part of our team for the Valletta 2018 Opening Ceremony and work closely with Spanish world-renowned theatre company La Fura dels Baus? We are looking for participants to join us and be part of this exciting project. Applicants need to be active and adventurous, be 18 years or older, and be fully available on all the below days. Fill in the application form found in this link, and come to the audition on the 18th November 2017 (we will confirm the venue for auditions and send you all the information via email prior to the audition once you apply). There are limited spaces available and a selection will be made according to the show’s requirements. Deadline for applications: 16th November 2017, noon. The Human Net is the name La Fura dels Baus has chosen to refer to a theatrical element involving innovative engineering and capable of generating aerial choreography in which a large number of participants are involved, harnessed and suspended in mid-air. ​The spectacularity of this element is defined by the different possibilities of transformation and evolution of the actors hanging from it.